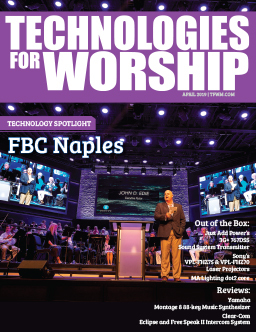 A large metal building, plus parallel walls, plus a budget of zero for acoustical treatment can certainly equal headaches for audio system designers… Especially when the music format is anchored with live drums and electric guitars. Such is the case for our newest worship venue at Broadmoor Baptist Church in Shreveport, Louisiana. 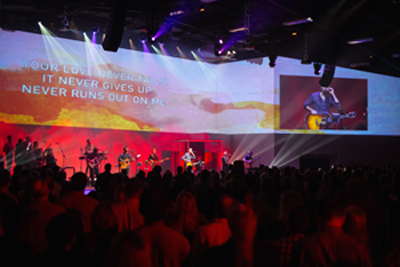 With a great need for more space for our fast growing DOXA worship service, the goal seemed simple enough: build a 1,200 seat space for under four million dollars. With a hard ceiling of funds available, we went looking for a way to defeat the problems we knew the physical space would present. First on the list was the main PA system. We attended the InfoComm Show in Las Vegas to demo systems, because our space is similar to the large convention center rooms manufacturers use for the demos, and we felt confident that the show would provide a great short list for us to pursue. 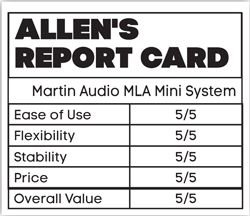 Our short list was made even shorter after hearing the Martin Audio MLA Mini system. I say “system” because it’s so much more than just a speaker enclosure. The MLA Mini is a group of components, which they call “cells” that work together to create one of the most controllable audio transducers I’ve ever used. 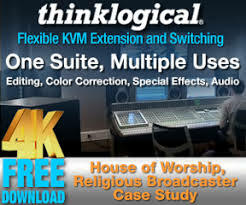 The key selling point though was the ability to use their DISPLAY2.1 software to control the DSP within the power module to create “Hard-avoid” coverage areas within the room. Before we get too far along, let me describe our space and how the system fits within it. Our room is 120 feet wide by 100 feet deep. The stage sits within the room (not a stage house) and it is 58 feet wide by 30 feet deep and is only 42 inches high. So the coverage area for the audio system is basically 120 feet by 70 feet deep. The ceiling is exposed steel beams which is 24 feet high on the sides and 28 feet high in the center. The floor is flat with movable seating. 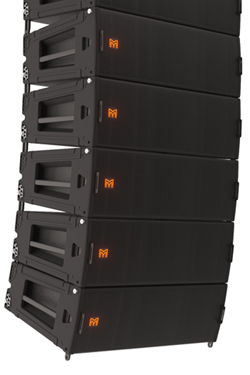 Our Martin Audio package is made up of two MSX Minisub Power Plants and eight MLA Mini enclosures per side. The speaker portion of each Mini-sub includes a single 15” voice coil, long-excursion driver that is reflex-loaded into a box that is only 20 inches square. The power portion of the MSX is a clever package that I call a backpack, which is mounted to the backside of the box. It’s held in place with an edge frame and it’s easily removable, even with the enclosure in rigged in the air. The Power Plant Module includes nine channels of Class D amplification. One channel is used to power the sub itself and then eight other channels to provide, as Martin Audio says, “cellular drive of up to four bi-amped MLA Mini enclosures.” The Power Plant also houses the DSP for Crossover, delay and EQ functions which are all controlled via the VU-NET control software. The MLA Mini Enclosure houses two 6.5” LF drivers and vertical column of three 1.4” dome HF drivers on a 100 degree horn. The placement of these elements within the enclosure is somewhat complicated to explain, but the bottom line is this 20” wide by 7” tall box is designed to work hand in hand with the other enclosures and the configuration, once they are connected, provides an astonishing amount of control. Not only control in tone and color of sound, but also in putting the sound where you want it and, more importantly in our case, where we don’t want it. Installation of the system is simple and in our case we were able to fly the rig from a single point via a weight rated beam clamp. Martin-Audio’s DISPLAY software gave us the proper angle adjustments after we simply entered the dimensions of our room and the areas where we wanted coverage, and of course where were didn’t. Tuning the system was unlike anything I’ve done in the past. Jim Jorgensen (UXM Product Specialist for Martin-Audio) was able to join us on-site for the setup of the system and provided training to our tech staff and our contractor All Pro Sound from Pensacola, Florida. Jim was able to quickly verify the components working order with the VU-NET control software and within 15 minutes we were playing music and listening to one of the most satisfying PA systems I’ve ever heard. Beyond the ease of installation, fast set up and the beautifully transparent sound of the system, there is one more feature that can’t be missed. Because of the flexible seating, our room can be adjusted by removing seats and creating more aisle and row space to make a crowd of only 600 not feel like the room is empty. Or we can load in all the chairs and make the room hold 1200. The size of the crowd and the placement of the chairs (in particular how close they are to the walls) plays a big role in the reflection aspects of the room. By creating presets or snapshots of the system settings within the DISPLAY software, we are able to adjust the system based on how full the room is. And because we live in the deep south, where summertime humidity levels average 90 percent, we can add environmental components to the presets. This feature is so precise, we even have a setting for when people are standing up as opposed to sitting down. Certainly this feature can be used to the extreme and could end up being confusing for users. However, as in our case, we also have a preset called “normal” that is a best case setting for our most common seating and service configuration. As a church we have to be strong stewards of what God has provided. 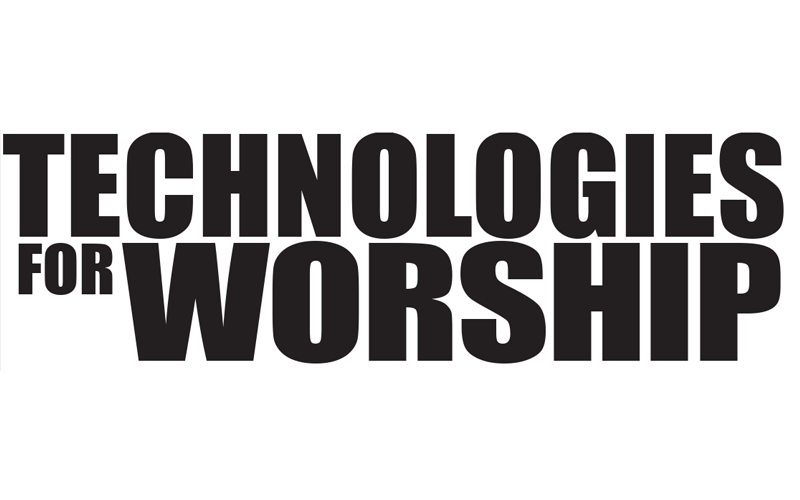 Our church is debt free and sometimes we have to wait until funding is provided to purchase the equipment we need. We feel blessed that the MartinAudio MLA Mini system fit into our budget and even more blessed that it goes so far beyond our basic needs.